As with Gibson vintage knobs there is nothing that quite gets the look and feel of the real thing. 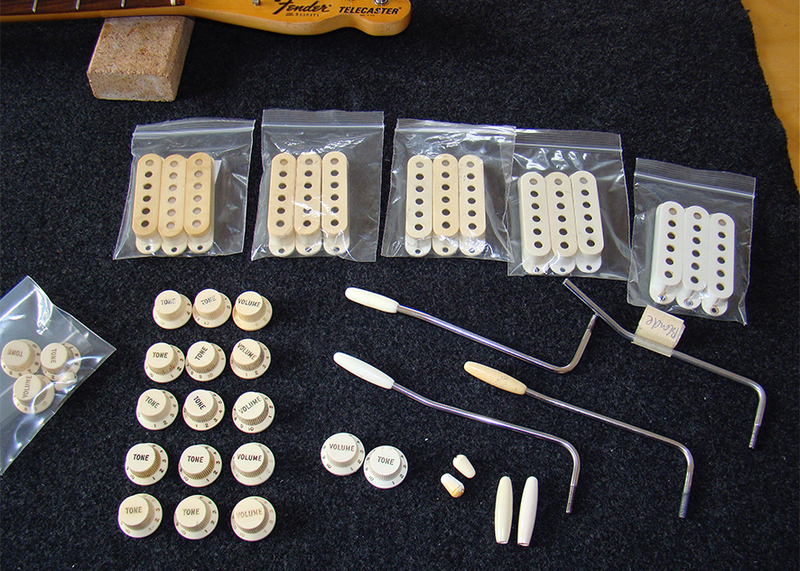 There is a lot of confusion and mis-representation in regard 'vintage' Stratocaster knobs. The ABS 'three spoke' knob came in during 1957 and remained pretty much the same through the 1960s and 70s. They are identifiable if you know what to look for. The main 'tell' is the small numerals and the serif (the little projection) on the numeral 1 and numeral 10 - see photograph below. The numerals became bigger towards the end of the 70s and early eighties when the four spoke version started to appear. 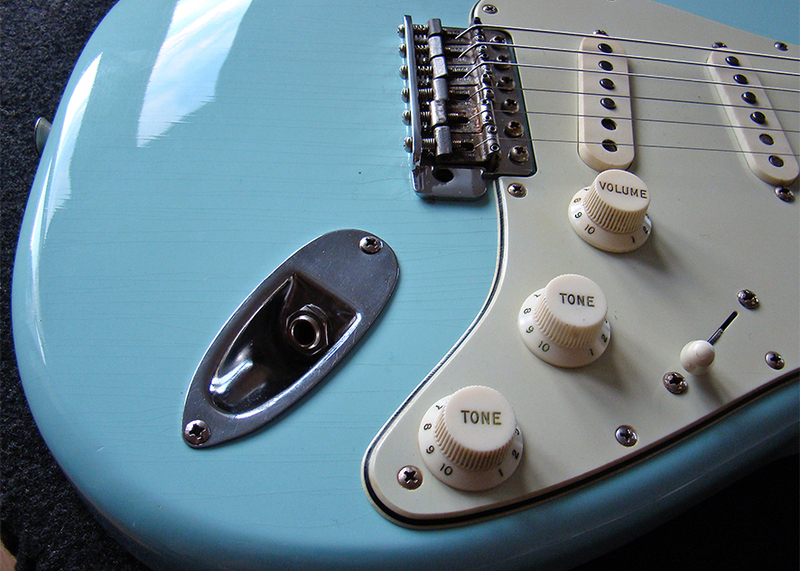 There are dozens of replica/clone knobs but nothing comes close to passing for vintage. 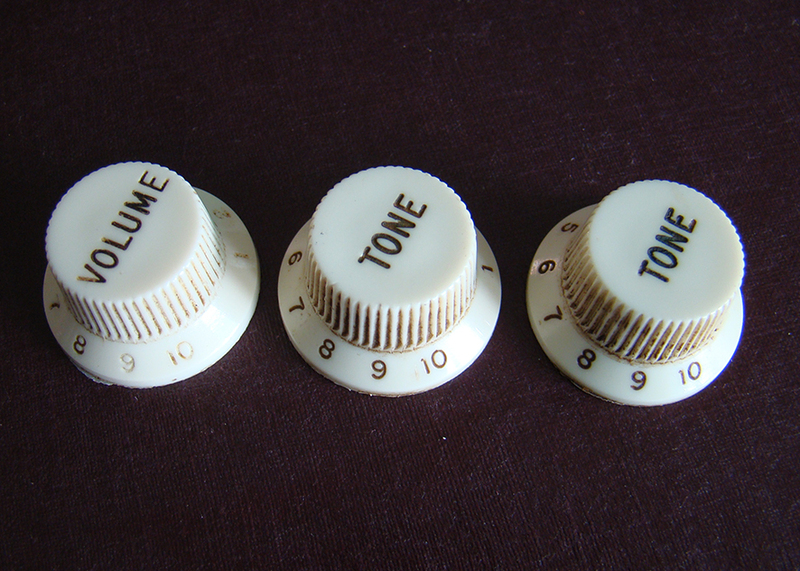 Some expensive Japanese replica knobs have the small numerals and the correct three spokes but the font is different and does not have the serif.